At Grants Pass Adventist School, we strive to provide the best team of trained, certificated, Christian educators for your children. Our team of teachers are dedicated Seventh-day Adventist Christians and they make it a priority to stay current in each of their content areas. Every year our teachers attend conferences and events that keep them on the cutting edge of educational theory and execution. Bottom line, our teachers want your kids to succeed in their goals, feel confident in their gifts, and learn and grow in a safe, healthy environment. Mr. Rasmussen comes to us from Lewiston, Idaho, where he served as principal of Beacon Christian School for thirteen years. He graduated from La Sierra University in California with a degree in History/Political Science and is a recipient of the Zapara Excellence in Teaching Award, the Don Keele Excellence in Education Award, and the Alma McKibbin Sabbatical Award. 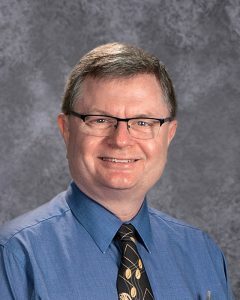 In addition to being Principal, Mr. Rasmussen teaches ninth and tenth grade history, as well as art, Bible, language arts, keyboarding, PE and social studies for seventh and eight grade. He brings many years of educational experience in Adventist schools, and is passionate about Christian education and loves to incorporate hands-on projects and technology-based learning into the classroom. Mr. Rasmussen is an avid reader, and in his off-time likes to go on long walks and learn about local history. He finds working outdoors is therapeutic for his body and mind. He has enjoyed going on educator tours to the Holy Lands, Italy, and Adventist Heritage Sites to enhance student learning as well as for personal interests. He has participated in the Colonial Williamsburg, VA Teacher Institute and has traveled to historical sites in the East featuring the Colonial America, American Revolution, and Civil War time periods. Of special interest is learning about the experiences of those who traveled on the Oregon Trail to move to the great Pacific Northwest. He also enjoys digital photography. Mr. Rasmussen and his wife, Carol, are thrilled to now live closer to their son and his family, who live in Northern California. They enjoy being able to get together more frequently now. One of Mr. Rasmussen’s favorite Bible verses is Roman’s 8:1-2: “there is therefore now no condemnation to those who are in Christ Jesus, who do not walk according to the flesh, but according to the Spirit. For the law of the Spirit of life in Christ Jesus has made me free from the law of sin and death.” He says it speaks to him as an undeserving sinner of what Jesus Christ has done for us all. 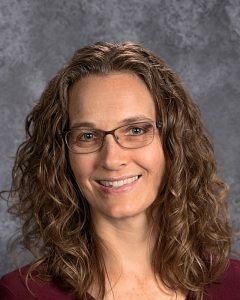 Mrs. Whitchurch earned her Bachelor of Science with a math emphasis from Pacific Union College. She is a certified teacher through the North American Division of Seventh-day Adventists, with endorsements in history, Bible, and English, as well as high school endorsements in mathematics. She continues to pursue professional education coursework during the summers. She shares a common goal with Adventist education: to bring precious young souls closer to Jesus, and she implements this in her classroom each and every day. There are songs and discussions about Bible texts. The students talk in-depth about the importance of character. And Mrs. Whitchurch believes that the school, like the church, is a house where character needs to be built up and not torn down. She keeps a board next to her desk to remind students not to tear down the characters of others. She loves to watch her students form a strong relationship with one another and with Jesus. Her favorite Bible verse is John 14:1-3—”Let not your heart be troubled; you believe in God, believe also in Me. In My Father’s house are many mansions; if it were not so, I would have told you. I go to prepare a place for you. And if I go and prepare a place for you, I will come again and receive you to Myself; that where I am, there you may be also.” Mrs. Whitchurch sees to it that she is instructing her students spiritually as well as academically. 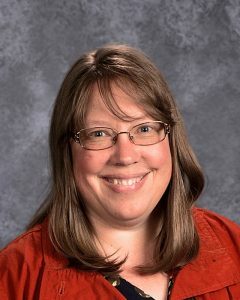 Mrs. Shewmake has watched many students develop into find young men and women throughout the years, carrying the Lord close to their hearts, since she started working at the Grants Pass Seventh-day Adventist School several years ago. 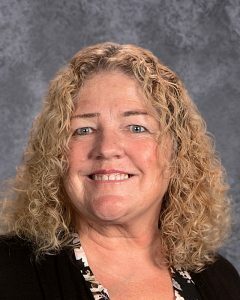 Mrs. Shewmake attended La Sierra University, though she concluded her BA in Liberal Arts with an emphasis in Education through Atlantic Union College. She also has a religion endorsement (K-8) and is certified through the North American Division of Seventh-day Adventists. She is a big supporter of STEM education (Science, Technology, Engineering and Mathematics), adding “Arts” to her curriculum to create STEAM. Mrs. Shewmake has a passion for art and likes to provide new experiences for her students. She helps them strive for success, assisting them in discovering how they can believe in themselves. Bible discussions are a big part of class time as well, and she challenges her students with tough questions, such as “Do you think you might know the kind of plans God has for your life?” All in all, she wants students to live as good citizens of the community, and her greatest joy is to see students make decisions for Christ. Her husband, Paul, managers the school’s landscaping and maintenance. He also builds things for Mrs. Shewmake’s classroom. Family is a priority for both of them and they love spending time with those who live nearby. Mrs. Shewmake’s desire is to help her students learn how to make a positive impact in our school and community. If a school family is in need, she has rallied her students and the community to raise funds. They have raised money for a child with CHD, and students have filled stockings for the Maslow Project in Medford and decorated cookies for Joe’s Place Ministries. For several years they have also delivered “Love and Hugs” teddy bears to two local nursing homes. 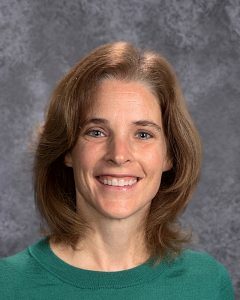 Mrs. Oliver knows that trusting God’s plans for her life “will lead to ultimate joy!” Her journey has taken her through a variety of teaching environments and diverse locations, both in private and public school systems. She’s excited to have the opportunity to lead young people to Jesus and recognizes the importance of Adventist education, seeking to provide a Bible-based focus in her teaching. “It’s important for Children to begin their journey with Jesus early in life,” she says. Mrs. Oliver is married to her high school sweetheart, Charlie Oliver, and they have three active boys, Elliot, Peyton, and Wesley. They love camping, skiing, disc golfing, and visiting national parks. Marla leads the preschool program at Grants Pass Adventist School. She has her Master’s in early childhood education and over 35 years of experience in education. She has directed child development centers and served as a site leader for a laboratory school for teen parents. Marla and her husband are also active foster parents and are passionate about providing the love and support children need to grow and succeed. Visit Grants Pass School’s preschool page to learn more about the program. Alana Murphy is the lifeline necessary for staff, parents, and volunteers to meet daily needs and functions of the school. She manages multiple details to ensure the best experiences for students and their families. She is often the first face you see upon entering the school. 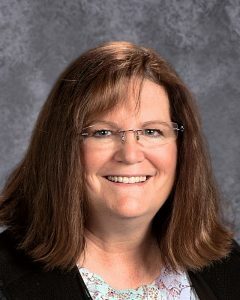 Mrs. Murphy values Adventist education because “it helps point our kids to Christ and a life of service.” As office manager, she is a vital part of providing this very quality. Mrs. Murphy has been active in school and church activities, from Home and School to Pathfinders. Her husband Sean works at Better Life Television, the local affiliate of Three Angels Broadcasting Network. Their son is currently in 8th grade here at Grants Pass Seventh-day Adventist School, and in their spare time, the family enjoys outdoor activities such as hiking, biking, rafting and camping. One of Mrs. Murphy’s favorite Bible verses is Jeremiah 29:11-13: “‘For I know the plans I have for you,’ declares the Lord, ‘plans to prosper you and not to harm you, plans to give you a hope and a future. Then you will call on me and come and pray to me, and I will listen to you. You will seek me and find me when you seek me with all your heart. '” She loves this verse because it reminds her that God has good plans for each one of us. She loves to watch God lead in the lives of students.